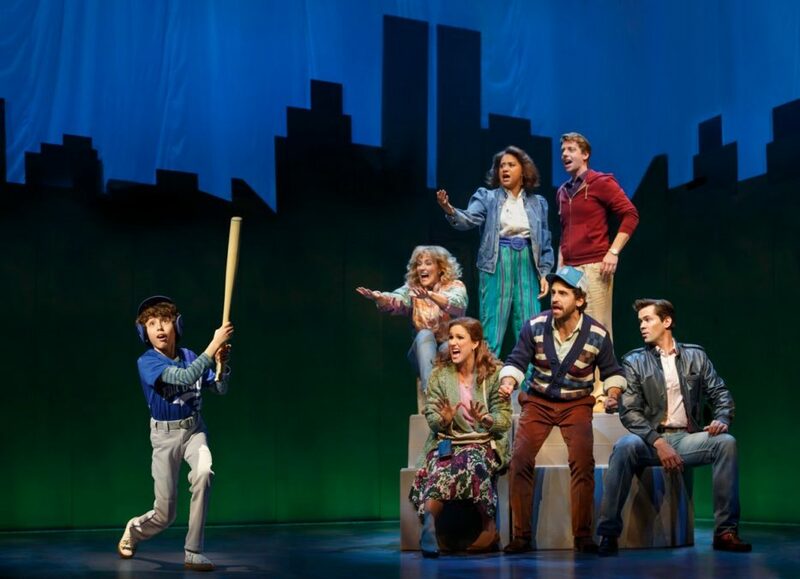 Lincoln Center Theater's recent Broadway.com Audience Choice Award-winning production of William Finn and James Lapine's Falsettos will embark on a North American tour in winter 2019. As previously reported, the tour will play engagements during the 2018-19 touring season, including Los Angeles' Ahmanson Theater and San Francisco's Golden Gate Theater, with additional cities to be announced in the coming weeks. Casting for the national tour will also be announced at a later date. Falsettos revolves around the life of a charming, intelligent, neurotic gay man named Marvin, his wife, lover, about-to-be-Bar-Mitzvahed son, their psychiatrist, and the lesbians next door. It’s a hilarious and achingly poignant look at the infinite possibilities that make up a modern family…and a beautiful reminder that love can tell a million stories. This production of Falsettos opened at Broadway's Walter Kerr Theatre on October 27, 2016, directed by Lapine. The show starred Christian Borle, Andrew Rannells, Stephanie J. Block and Brandon Uranowitz as Marvin, Whizzer, Trina and Mendel, respectively. The cast also featured Tracie Thoms as Dr. Charlotte, Betsy Wolfe as Cordelia and Anthony Rosenthal as Jason. The production closed on January 8, 2017, but two performances were filmed for a presentation on the PBS program Live from Lincoln Center series, which aired October 27. The production was nominated for five Tony Awards, including Best Musical Revival. This production of Falsettos marks a reunion for composer/lyricist William Finn and playwright/director James Lapine. In 1981, Finn and Lapine’s new one-act musical March of the Falsettos premiered at Playwrights Horizons, before enjoying a long off-Broadway run at what was then known as the Westside Arts Theatre. Fast forward to 1990, when a second new musical by Finn and Lapine, Falsettoland, a continuation of the story of Marvin and his extended family in the early days of the AIDS crisis, opened at Playwrights Horizons and repeated the success of its predecessor. In 1992, the two one-act musicals were combined into one and opened on Broadway as Falsettos, which ran for over a year at the John Golden Theatre and won Tony Awards for Finn’s score and Finn and Lapine’s book. The touring production of Falsettos will once again be directed by Lapine, and will feature choreography by Spencer Liff, scenic design by David Rockwell, costume design by Jennifer Caprio, lighting design by Jeff Croiter and sound design by Dan Moses Schreier.